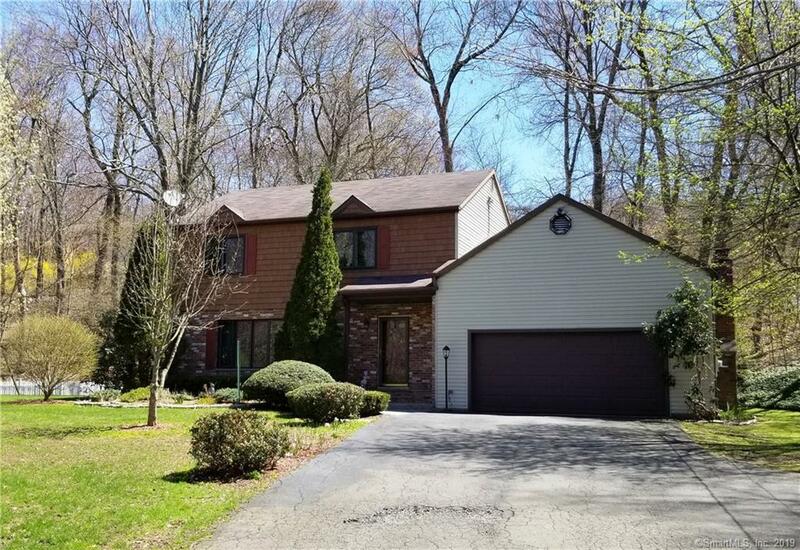 Come in and make an offer on this move in condition 8 room 4 bedroom colonial on a very private and conveniently located 1.16 acre landscape lot. Garden area and patio with beautiful and calming pond and waterfall. Great side hall layout with eat in kitchen open to sunken family room with fireplace. This is a good size home (1995 SF) in a bucolic setting with loads of privacy. Huge wooden playscape included. Set far back from the road. This home has been well cared for and has just had an energy audit that has resulted in a significant energy cost savings!